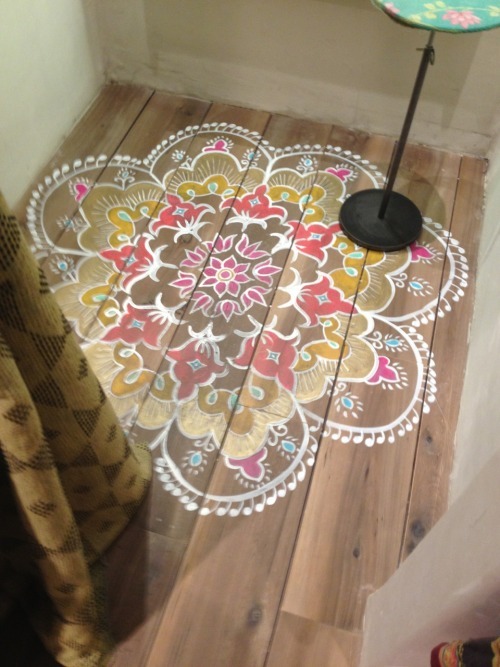 Floor art is a new trend that seems to be increasing in popularity. For the artistically inclined, this is a great way to add your own personal touch on your home’s flooring. Is this something you could envision in your home? Or is better left on Pinterest?